Used to close off runs of drip tape. 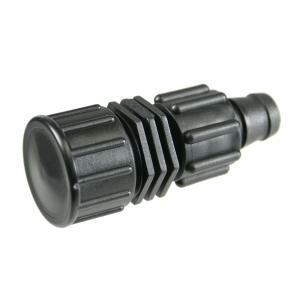 Fitting has standard male garden hose threads with female threaded end cap. Cap can easily be removed for flushing or draining.